The Vilayet of the Danube or Danubian Vilayet (Ottoman Turkish: ولايت طونه, Vilâyet-i Tuna‎) was a first-level administrative division (vilayet) of the Ottoman Empire from 1864 to 1878. In the late 19th century it reportedly had an area of 34,120 square miles (88,400 km2). 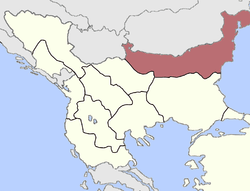 The vilayet was created from the northern parts of Silistra Province along the Danube River and eyalets of Niš, Vidin and Silistra. This vilayet was meant to become a model province, showcasing all the progress achieved by the Porte through the modernising Tanzimat reforms. Other vilayets modelled on the vilayet of the Danube were ultimately established throughout the empire by 1876, with the exception of the Arabian peninsula and the by then semi-independent Egypt. Rusçuk, today Ruse in Bulgaria, was chosen as the capital of the vilayet due to its position as a key Ottoman port on the Danube. The province disappeared after the Russo-Turkish War of 1877–78, when its north-eastern part (Northern Dobruja) was incorporated into Romania, some of its western territories into Serbia, while the central and southern regions made up most of the autonomous principality of Bulgaria and a part of Eastern Rumelia. Midhat Pasha was the first governor of the vilayet (1864–1868). During his time as a governor, steamship lines were established on the Danube River; the Ruse-Varna railroad was completed; agricultural credit cooperatives providing farmers with low-interest loans were introduced; tax incentives were also offered to encourage new industrial enterprises. The first official vilayet newspaper in the Ottoman Empire, Tuna/Dunav, was published in both Ottoman Turkish and Bulgarian and had both Ottoman and Bulgarian editors. Its editors in chief included Ismail Kemal and Ahmed Midhat Efendi. The vilayet had an Administrative Assembly that included state officials appointed by Istanbul as well as six representatives (three Muslims and three non-Muslims) elected from among the inhabitants of the province. Non-Muslims also participated in the provincial criminal and commercial courts that were based on a secular code of law and justice. Mixed Muslim-Christian schools were also introduced, but this reform was abolished after it was met by strong opposition by the populace. ↑ Palairet, Michael R. The Balkan Economies c.1800-1914: Evolution without Development. ↑ Stanford Jay Shaw; Ezel Kural. Shaw (1977). 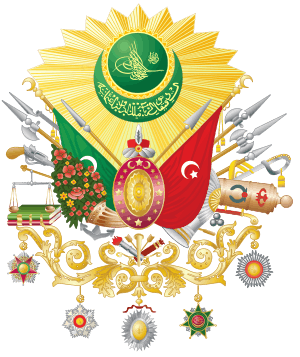 History of the Ottoman Empire and Modern Turkey:. Cambridge University Press. p. 90. ISBN 978-0-521-29166-8. Retrieved 2013-05-28.